Gensui Count Terauchi Masatake , GCB, was a Japanese military officer, proconsul and politician. He was a Gensui in the Imperial Japanese Army and the 9th Prime Minister of Japan from 9 October 1916 to 29 September 1918. The Satsuma Rebellion or Seinan War was a revolt of disaffected samurai against the new imperial government, nine years into the Meiji Era. Its name comes from the Satsuma Domain, which had been influential in the Restoration and became home to unemployed samurai after military reforms rendered their status obsolete. The rebellion lasted from January 29, 1877, until September of that year, when it was decisively crushed and its leader, Saigō Takamori, committed seppuku after being mortally wounded. The Satsuma-Chōshū Alliance , or Satchō Alliance was a military alliance between the feudal domains of Satsuma and Chōshū formed in 1866 to combine their efforts to restore Imperial rule and overthrow the Tokugawa shogunate of Japan. 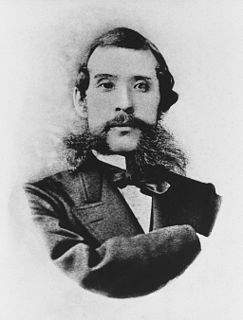 The Meiji oligarchy was the new ruling class of Meiji period Japan. In Japanese, the Meiji oligarchy is called the domain clique . 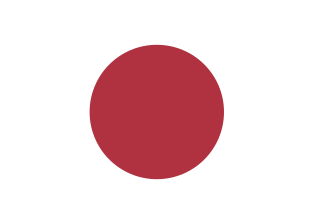 The Chōshū Domain was a feudal domain of Japan during the Edo period (1603–1867). It occupied the whole of modern-day Yamaguchi Prefecture. The capital city was Hagi. The name Chōshū was shorthand for Nagato Province. The domain played a major role in the Late Tokugawa shogunate. It is also known as the Hagi Domain . The Battle of Aizu was fought in northern Japan from October to November in autumn 1868, and was part of the Boshin War. The Jinzhou (Chinchow) Operation was an operation in 1931 during the Japanese invasion of Manchuria, which was a preliminary, contributing factor to the outbreak of the Second Sino-Japanese War in 1937. The Seikanron debate was a major political debate in Japan during 1873 regarding a punitive expedition against Korea. The subdue Korea debate split the Meiji government and the restoration coalition that had been established against the bakufu, but resulted in a decision not to send a military expedition to Korea. The Siege of Kumamoto Castle from February 19 to April 12, 1877, in Kumamoto, Japan, was a major battle of the Satsuma Rebellion. 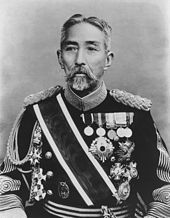 Viscount Ōshima Yoshimasa was a general in the early Imperial Japanese Army during the First Sino-Japanese War and the Russo-Japanese War. His great grandson, Shinzō Abe is Prime Minister of Japan. The military of the Ryukyu Kingdom defended the kingdom from 1429 until 1879. It had roots in the late army of Chūzan, which became the Ryukyu Kingdom under the leadership of King Shō Hashi. 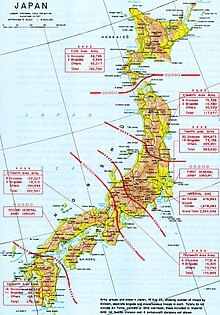 The Ryukyuan military operated throughout the Ryukyu Islands, the East China Sea, and elsewhere that Ryukyuan ships went. Ryukyu primarily fought with other Ryukyuan kingdoms and chiefdoms, but also Japanese samurai from Satsuma Domain and pirates. Soldiers were stationed aboard ships and Ryukyuan fortifications. The Ryukyuan military declined after the 17th century.